Use this vanity to bring more false style into your bathroom. This set from GLACIER BAY is great for anyone looking for great style and function in their bathroom. This Naples 30 inch vanity is paired beautifully with a 31 inch Carrara White natural stone vanity top and attached oval under-mount vitreous china bowl. This 30 inch vanity provides an unexpectedly vast storage space, behind 1 beautiful door and 3 full-extension, dovetail drawers. Perfect for stacks of towels and a wide array of bath items you want nearby. Constructed with natural poplar wood, this sturdy cabinet is treated with an Antique Walnut finish for an elegant look. 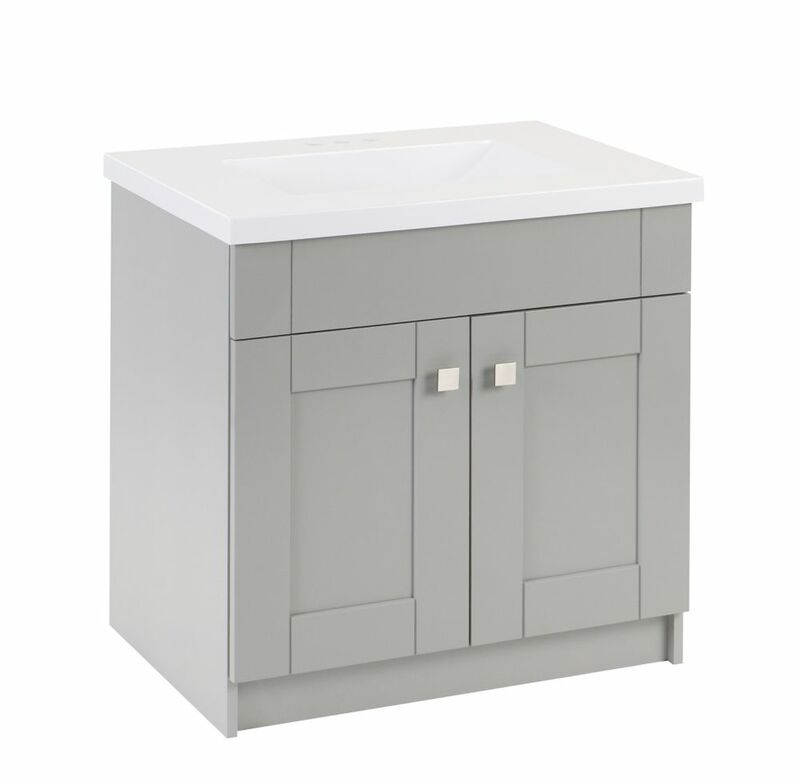 Millstream 31-inch W Vanity in Grey Use this vanity to bring more false style into your bathroom. This set from GLACIER BAY is great for anyone looking for great style and function in their bathroom.